It’s time for March RADness! What does March RADness stand for? 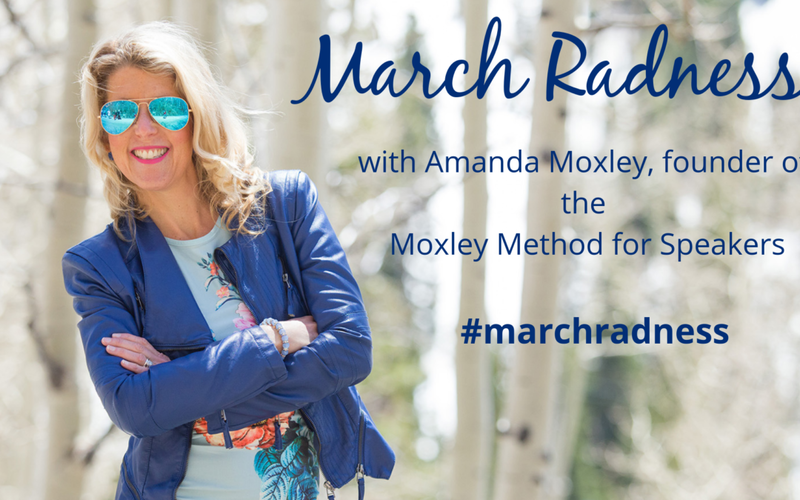 coaching with Amanda Moxley, Founder and CEO of The Moxley Method! Every Monday – Thursday in March, catch the FB Live March RADness episode HERE at 1pm MST / 3pm EST / 2pm MST / 12pm PST. You want to catch up on all the past episodes or binge watch MOX Style? Click HERE for a limited time.